Looking for big zoom power you can fit comfortably in a pocket? Look no further than the Wi-Fi® and GPS enabled COOLPIX S9700. Its outstanding 30x optical zoom NIKKOR glass lens packs more reach than many bulky super telephoto lenses, yet it retracts safely into an ultra-slim camera when not in use. Lens-shift Vibration Reduction helps combat the blurring effect of camera shake—crucial when shooting at far distances—and Nikon's free mobile app lets you use a compatible smartphone or tablet to see what the COOLPIX S9700 sees, take photos and instantly share them by text message, email or uploading to your favourite social networking sites—complete with GPS coordinates! Slip the COOLPIX S9700 into a pocket and share amazing views of your adventures. Your smartphone or tablet will be your favourite accessory! Take beautiful photos with the COOLPIX S9700 and watch them instantly appear on your compatible smartphone or tablet. Then share them without missing a beat—text them, email them, upload to your favourite social networking site—it’s your choice! You can even use your smartphone or tablet as a remote control for the COOLPIX S9700, perfect for self portraits and group shots that actually include you. Relive the excitement of your travels in a whole new way. The COOLPIX S9700 records the exact location of each shot you take, so you can follow the path of your adventure and every stunning view along the way! Share your journeys on Google Earth™, Google+™, and other social networking sites, or with the Nikon View NX2 software. Built-in mapping and Electronic compass also help you navigate unfamiliar destinations, and Points of Interest (POI) show you nearby photo-ops like scenic lookouts and historic landmarks. 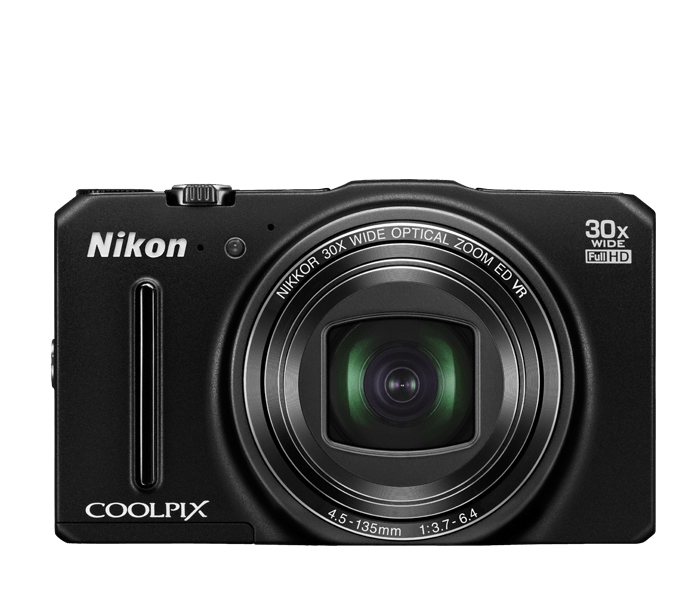 The COOLPIX S9700 is the ultimate travel companion!